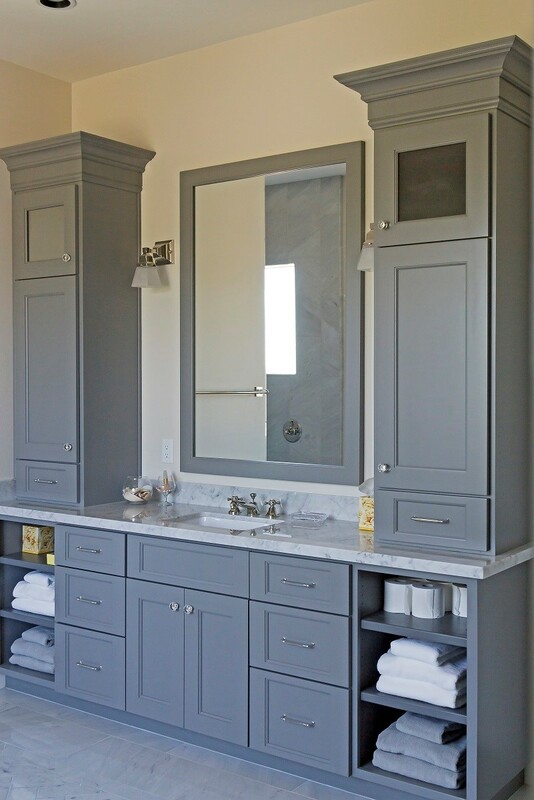 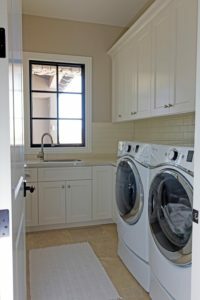 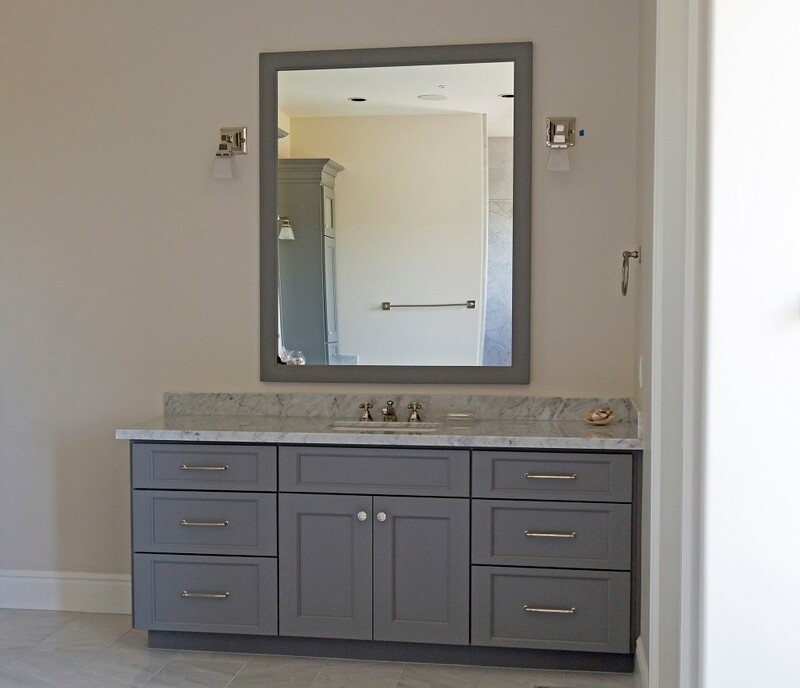 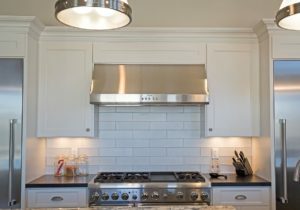 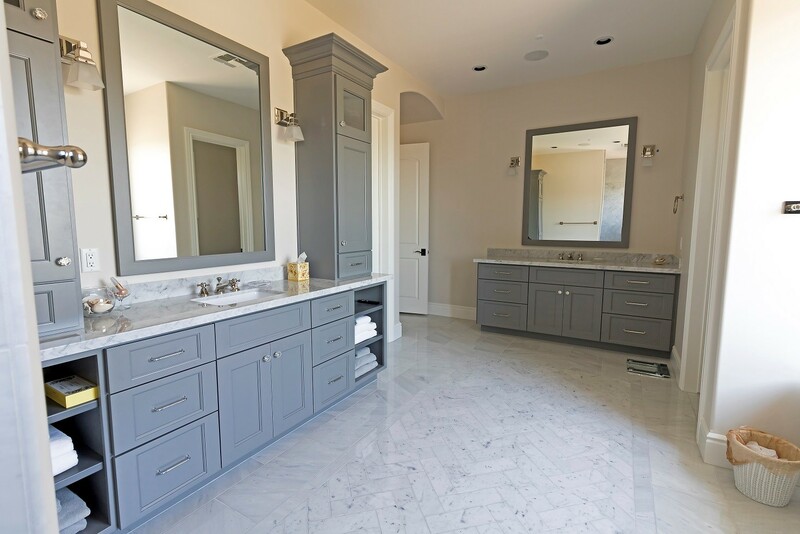 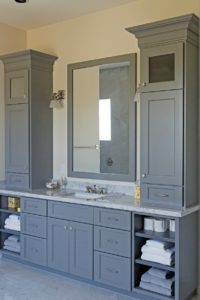 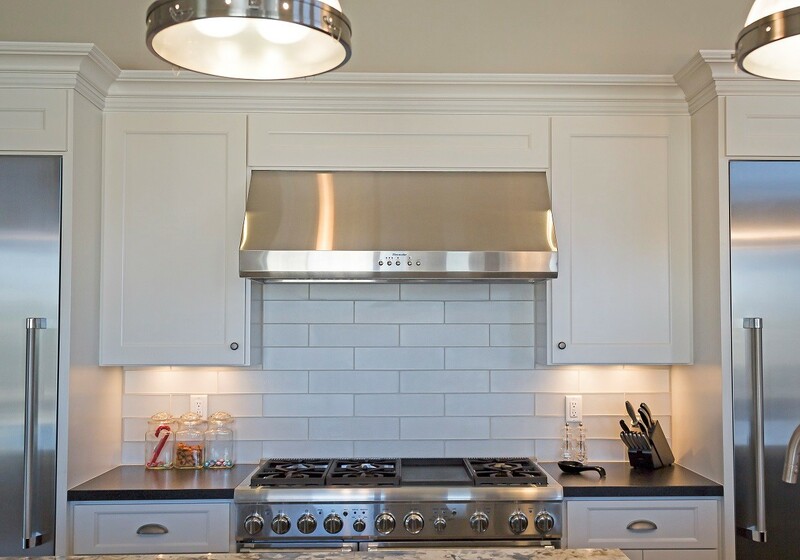 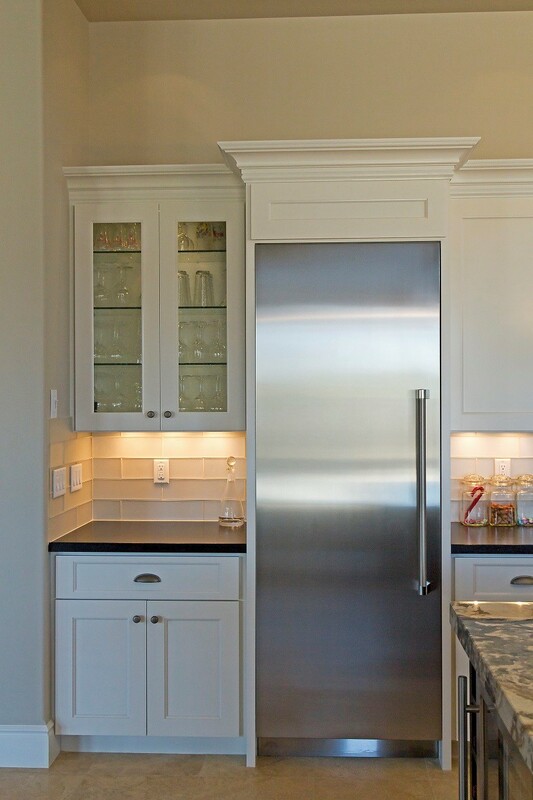 Cream and dove grey painted cabinets make this entire home on trend. 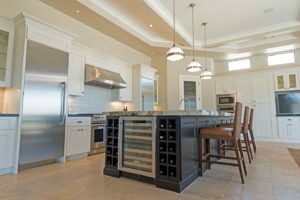 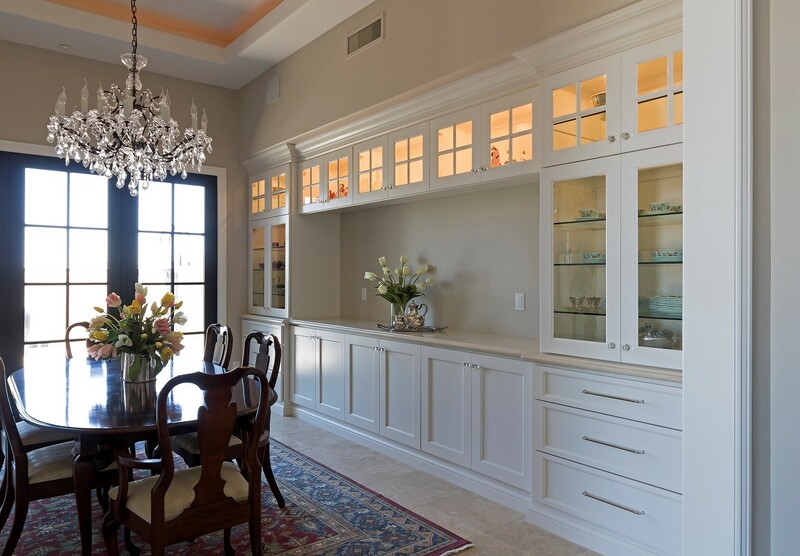 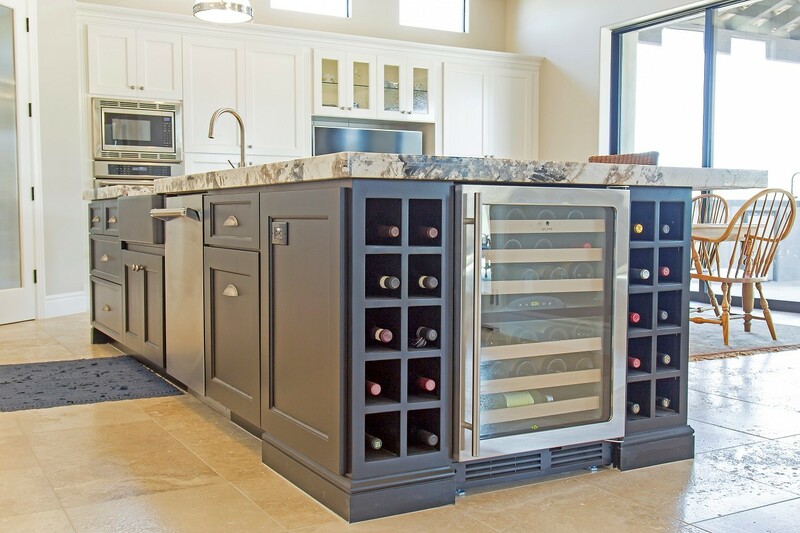 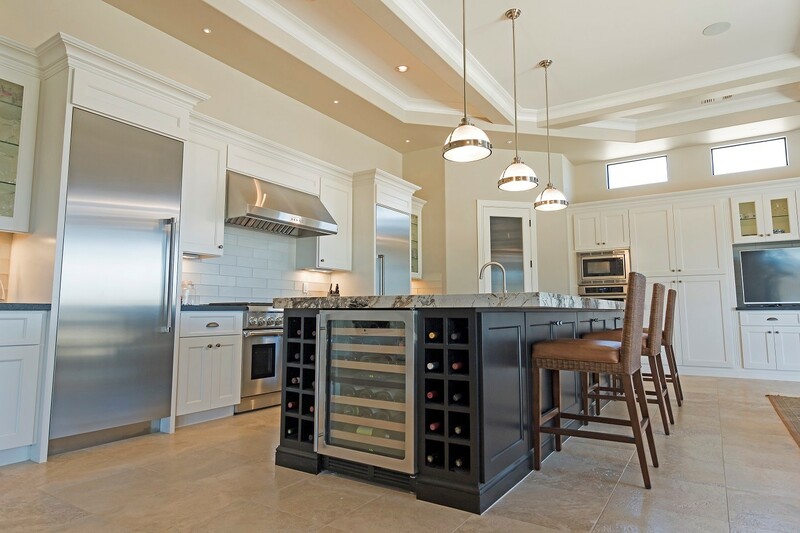 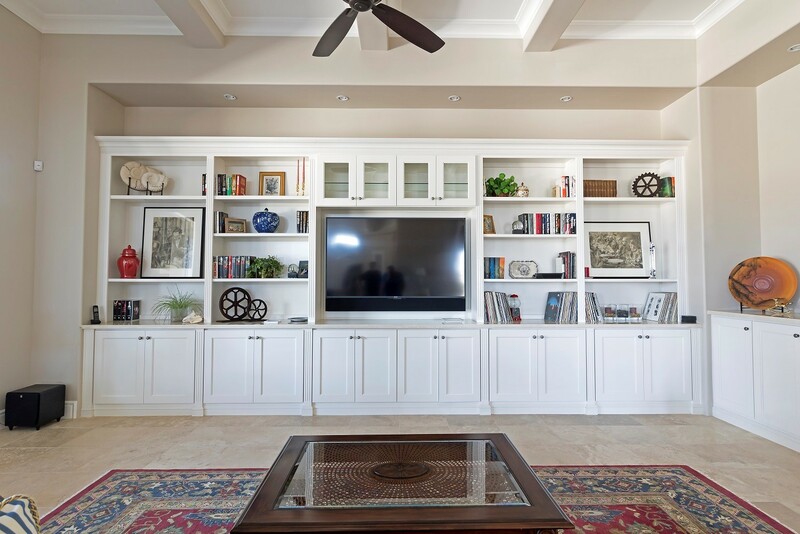 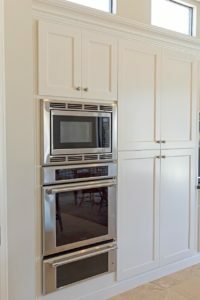 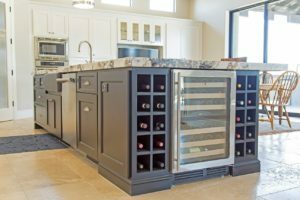 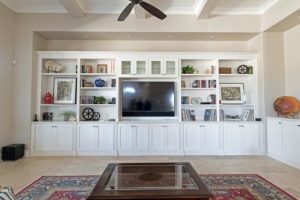 Features include a wine rack and refrigerator built into the island, glass shelving, and several bookcases. 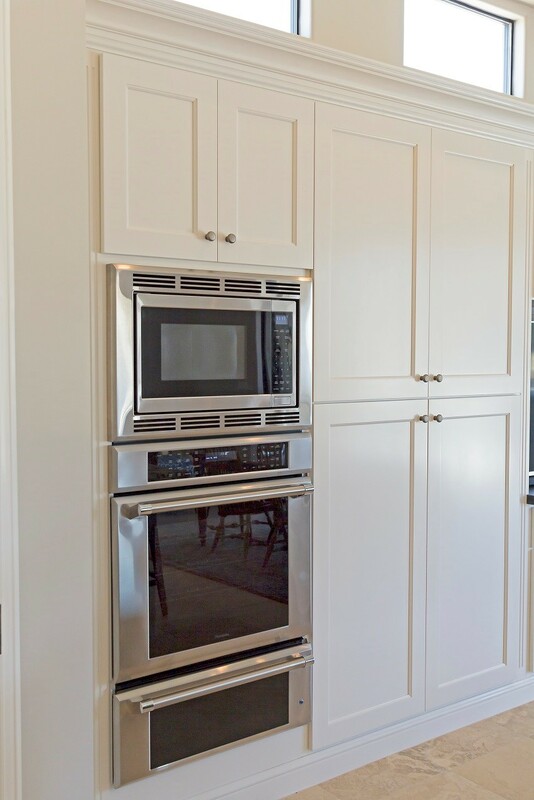 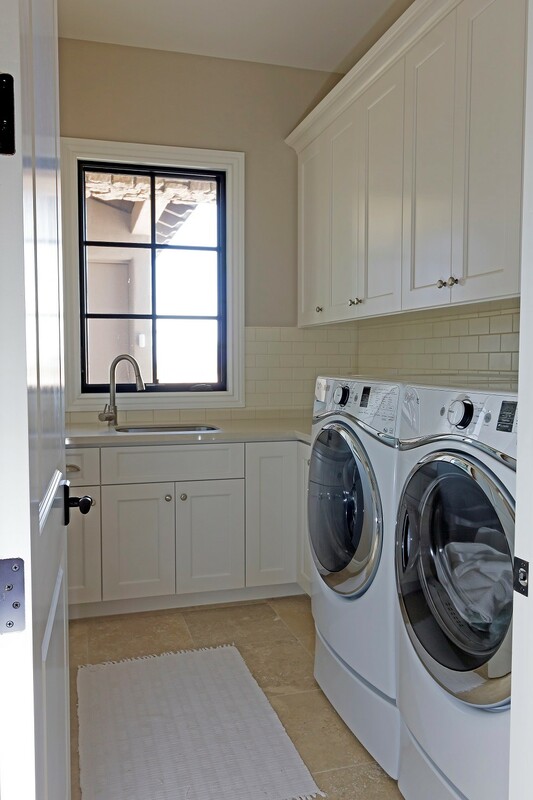 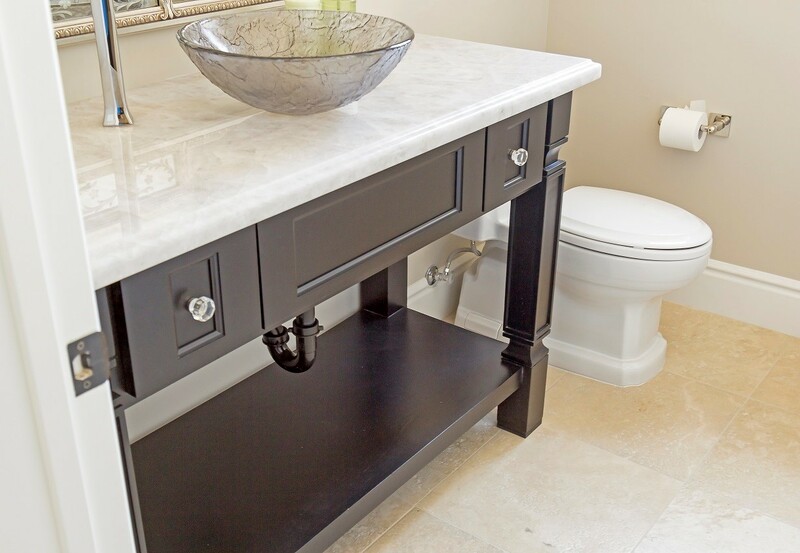 Note the precision craftsmanship and installation on all of these custom pieces.